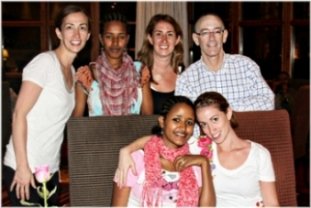 The Growing Hearts of Africa foundation works with Dr. Rick Hodes, a CNN Hero (rickhodes.org). Dr. Hodes has hundreds of patients on a waiting list to receive life-saving spine and heart surgery. 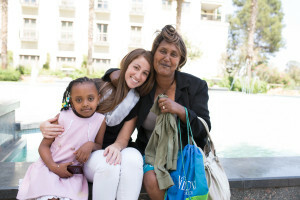 Through the Jewish Distribution Committee, we give funding to Dr. Hodes so that he can send these patients to Ghana and India to receive their surgery. So far we have successfully sent children to both places and are pleased to announce the surgery was a success and both children are happy, healthy, and can lead a fulfilled, successful life because of your donations. Not only do we appreciate it, but their families will forever be thankful. 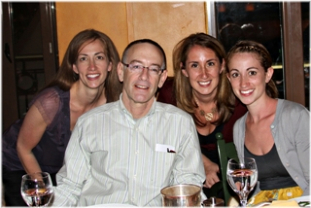 To date, we have eleven heart and spinal surgeries through the work of Dr. Hodes. 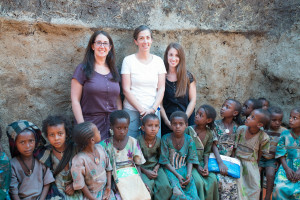 Children as young as 5 years old walk up to 15 miles a day just to attend school in Ethiopia. Most, however, cannot get there and end up working for their family instead. 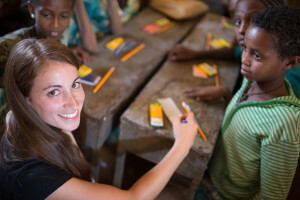 The Growing Hearts of Africa was originated so that every child has the chance at an education. We hope to build many satellite schools all over Ethiopia so that no child has to travel to great lengths to attend school. Our schools are free of charge to attend. They are made of concrete and can withstand the weather to protect the youth. 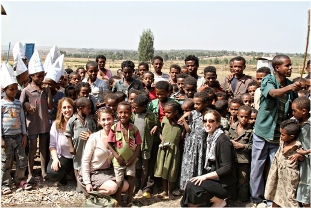 In 2010 The Growing Hearts of Africa raised enough money to fund the building of the Cherkaw School in Kola Diba, Ethiopia, just miles from the city of Gondar. Our school was completed in March of 2011 and we had the honor and privilege of attending the school and meeting all of the students. There were 120 students and 6 teachers in the Cherkaw School. Since then, we have built 12 more schools and were able to visit four more of them. Last year was the first year we built a school in the Northern part of Uganda as well. The Nahla school will educate almost 400 students from preschool to 7th grade. Throughout sub-saharan Africa, there is a major shortage of surgical specialists. In Zambia, Botswana, and Mozambique, for example, there is an average of only 10 urologists for each country, despite a population average of 25 Million people in these countries. GHA’s healthcare arm, founded by Michael Ingber, MD, sends surgical teams of pelvic surgeons throughout Africa to provide surgical services and educate the local healthcare communities so they can improve their care. To date, GHA has sent surgical teams to Zambia, Botswana, Mozambique, and Uganda and these surgeons have performed over 200 surgeries on women, men, and children in need. A major focus of GHA is the treatment of vesicovaginal fistula, which occurs when a hole develops in the bladders of women in prolonged labor.